The image you see above is not an official look at the 2014 Porsche Macan but rather a rendering of something a bit more special, from the mind of designer Garrett Bradford. We’ll get to that in a minute but first more about the Macan. 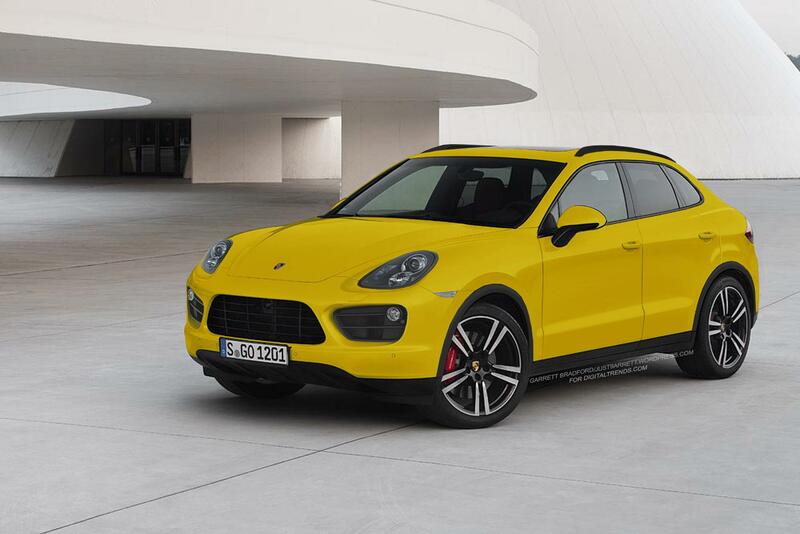 The Macan is based upon the Audi Q5 and will place beneath the larger Q7-based Cayenne. It’s expected to be powered by a turbocharged four-cylinder or even a Porsche-tuned version of the 3.2-liter V6 found in the Q5. We like the Cayenne and what Porsche was able to do to stiffen and alter the chassis to make it more Porsche-worthy over that of the Audi or Volkswagen variants. Surely the same will be accomplished with the Macan. While we know the Macan will be brilliant and likely a top-seller, the idea got us thinking. We recently drove the BMW X1 and although we found its price a bit ridiculous, we absolutely loved its concept. Based upon the rear-wheel drive 1 Series, the X1 took the sportiness of the smallest BMW and added some utility. Not only was the X1 capable of spirited Sunday afternoon drives like one would expect from a BMW, it also had room in the back for a bunch of groceries and a large dog. Take into account its all-wheel-drive system and the X1 could be anything you wanted it to be: sports car, family hauler, or adventure wagon. So why couldn’t Porsche, we wonder, do the same thing? We realized that while the Macan is a fine idea, we’d rather see a BMW X1-rivaling Porsche SUV based upon the 2013 Cayman. Let’s call it the Katana. Yes, we know Suzuki had a run of motorcycles called the Katana but enough time has lapsed that we think Porsche could revive/buy the nameplate rights. The Porsche Katana, in our minds, would be everything we want in a modern car – just like the X1 – but better. Let’s think about what the Katana would be like, shall we? Take the staggering good looks of the Boxster; add a bit of the utility of the Cayenne; and the pricing of the Cayman. What we’re left with is pure magic. Most motoring enthusiast need have both an SUV and a sports car to fill their lifestyle needs; the SUV for hauling, etc and the sports car for fun. Where the SUV is unwieldy in urban environs and the sports car is impractical as a family hauler, the Cayman-based Katana could fill all those rolls, arguably with improved looks and driving dynamics over the BMW X1 or the coming Mercedes-Benz CLK. What would the drivetrain of the Katana be like? We’d love to see the 3.4-liter flat six and the PDK transmission make its way under the hood of the Katana but we would be happy with a Porsche-tweaked version of an Audi turbocharged four-cylinder. All-wheel drive would be an nice option but not really necessary, we figure. We don’t think we’re too far off our rocker here, either. We think a brilliant sports coupe and also make a brilliant CUV. Take the Infiniti FX37for example, which is becoming the QX70 next year. The FX37 is based upon the Nissan FM Platform also shared by the Infiniti G37 sports coupe. Considering the engineers at Porsche are been blessed with the gift of German magic, a Cayman-based CUV that doesn’t compromise on sportiness, we think, would be a virtual cinch. So take another gander at the rendering above – imagine driving it – and honestly try to tell us you wouldn’t love to own a Porsche Katana.